I have one packet of Kogno car window sunshades to give away. Car Sun Shades – Protect From Sun Glare, UV Rays, and Heat! Your child deserves the best and safest sun shades available. 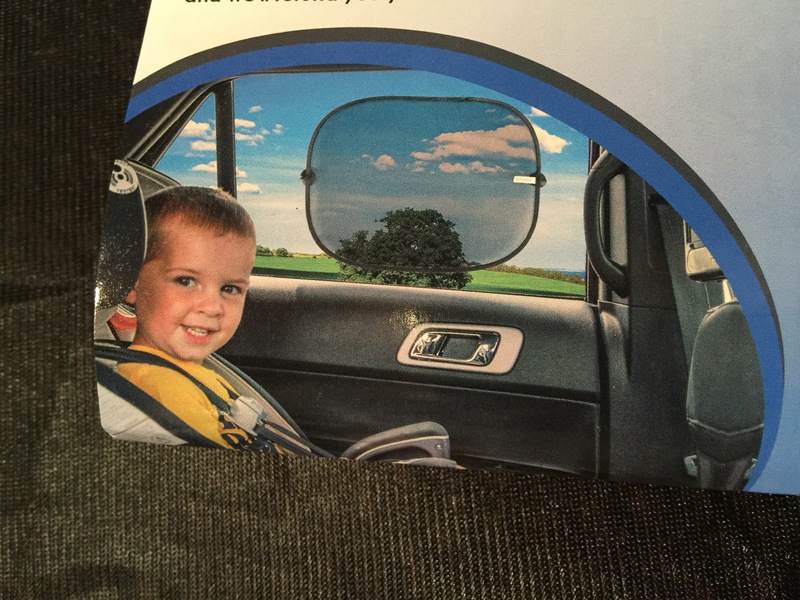 So, if you’re looking for an easy way to protect your child from the harmful sun and its UV rays, without limiting your driving visibility, while also keeping your child cooler and protecting them from the glare then we have your solution. Our quick stick sun shades were developed by moms for moms to offer maximum protection in an easy Twist 2 Fold design that makes storage a breeze. Best of all it’s constructed with very durable see-through mesh material that doesn’t limit your driving visibility. • Premium carrying pouch allows for easy storage when not using shades. • Safer to use with children then static cling sun shades that contain harmful PVC plastic that is known to be especially toxic to children. • 4 super strong pre-attached suction cups ensure these shades stay in place. There is one pair of Kogno car window sun shades in the packet, as well as four extra suction cups. I have one packet to give away!